Tuesday, 22 January 2019, 4:02p.m. 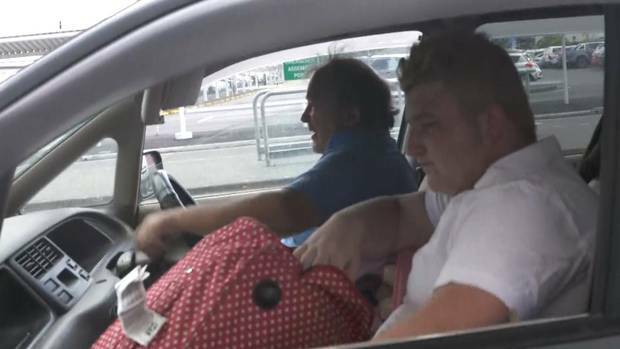 Members of the family of British tourists that have caused a storm up and down New Zealand were at Auckland International Airport with luggage this morning. A source has told the Herald that at least four of the group were expected on an international flight due to leave this afternoon. Four of the group were seen in the vehicle bay outside the international terminal but drove off when approached by the Herald. The true identities of the family also came to light today. The eldest member of the group, the Daily Mail Australia reports, is 55-year-old grandmother Barbara Doran. And despite being known around New Zealand as "John Johnson", the unofficial spokesman for the family is, in fact, named Joe Doran. He's married to Miley Doran and the pair reportedly have lived in various caravan parks around the East Midlands in the UK. Barbara Doran told the Daily Mail she is too scared to sleep at night and that the family believe they are being "tortured" by the public. The family - the so-called "holidaymakers from hell" - have made headlines around the world since after leaving rubbish on Takapuna Beach and abusing a local woman. The group also were accused of leaving restaurants with unpaid bills and one member of the unruly clan pleaded guilty to stealing from an Auckland service station. Over the weekend they were accused of leaving a Kiwi motel "stinking of kid's poo". "I'm very, very frightened, honestly,' Barbara Doran told Daily Mail Australia. "I'm not going to go and get food without paying for it. I'm not going to put myself that low. It has since emerged members of the group arrived in New Zealand on December 29. There have been several accounts of members refusing to pay for food or services, hectoring hospitality staff and claiming their food had been contaminated by ants or hair. Last Wednesday, a 26-year-old female member of the group pleaded guilty in the Hamilton District Court to stealing energy drinks, a rope and sunglasses from an Auckland service station on two separate occasions. Last Tuesday the family was trespassed from Burger King Te Rapa after the family walked through the drive-through. They had been at the restaurant earlier in the day causing a nuisance and complaining about and asking for free food. It is understood they claimed to have hair in the food and were refunded more than $30. On the weekend the "holidaymakers from hell" left a bomb of rubbish in a Levin hotel with cleaners having to spend hours to get the accommodation back up to scratch. 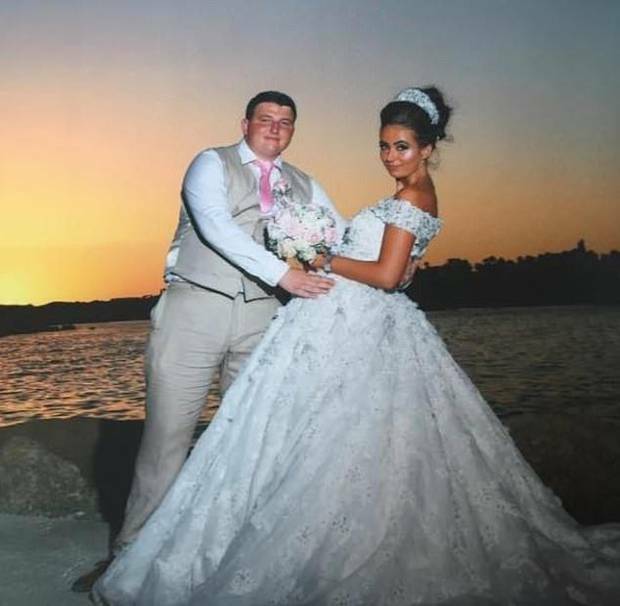 Joe Doran and his wife in their wedding photos. Photo / Facebook. A spokesperson for the motel told Daily Mail Australia there were cigarette butts scattered on the ground, empty red bull cans thrown around the room and towels bunched up in the shower. The cleaner also revealed the room was "stinking of poo". The cleaner said the room was "really messy, and it smelt like kid's poo". "I had to open all the windows, and I told my boss to leave them open as well as the door, so it could air out." According to the motel, spaghetti was found around the bed while cans and bottles of toiletry items were found dumped on the shower floor.